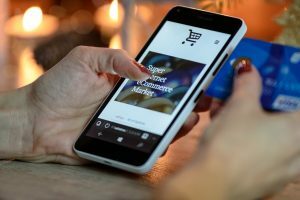 Is your eCommerce website ready for 2019? Three reasons to translate your eCommerce website now. Black Friday takes place on Friday 23 November this year. Last year’s global discounting online sales event made more than US$5 billion in sales in the US alone (Adobe). Three days later it’s Cyber Monday. Last year UK shoppers spent GBP7.8 billion (Centre for Retail Research). Across cyber weekend 2017 as a whole, Belgians spent €732 million, France €5.2 billion and Canada CAD4.9 billion. Singles Day in China takes place every 11 November and reached record levels of US$25.3billion in 2017 – a 42% increase on 2016’s figure (BBC). Global discount shopping days are widespread, and websites need more translated content than ever before to maximize international sales opportunities. Increased mobile sales via smartphones and tablets is one of the significant drivers of online shopping growth. It’s never been easier for buyers to go online and grab a bargain from anywhere in the world, making eCommerce a phenomenon without borders. Today, approximately 60% of total Google searches are from mobile devices (SearchEngineLand). Your website needs to be mobile compatible and multilingual to take advantage of the trend. Making sure your eCommerce website is multilingual has always been a fast-track way to boost more sales, but it also needs to be mobile friendly. Moreover, purchasing behavior and the way customers like to shop online differs from country to country. For example, China’s eCommerce shoppers go to different countries for different products. 32% of Chinese online shoppers are likely to buy from an offshore online retailer, and 61% said they would look to an out-of-country online retailer for a better deal (PwC). More than 40% of total global eCommerce spending comes from China. It’s the world’s largest eCommerce market and sales are projected to reach US$1.6 trillion by 2020. A new law in China covers (among other things) data and privacy, IP, and consumer protection – with a particular focus on transactions and payments. While this is a domestic initiative, the first draft of The Electronic Commerce Law included legislation relating to cross-border eCommerce. These new rules did not make it into the final documentation. However, experts predict this will happen at some point, and a highly regulated sector will be good news for importers looking to tap into China’s affluent millennial class. It’s a group that shares a love of genuine luxury goods and has a loyalty to western luxury brands. You can use translations to sell more products and services in new markets and to more customers. Ben works in the Marketing department at Straker. Read more blogs, business advice and discover ways to save time and money across your translations.